Ever since her Hard Candy days, Dineh Mohajer has had a cult beauty following. 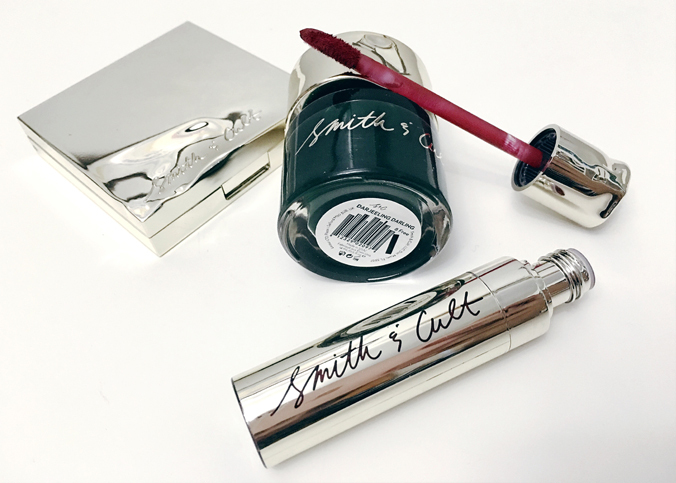 Mohajer’s second venture into the nail polish space, Smith & Cult (launched in 2014) has had the same success, making its way to beauty addict’s shelves everywhere. 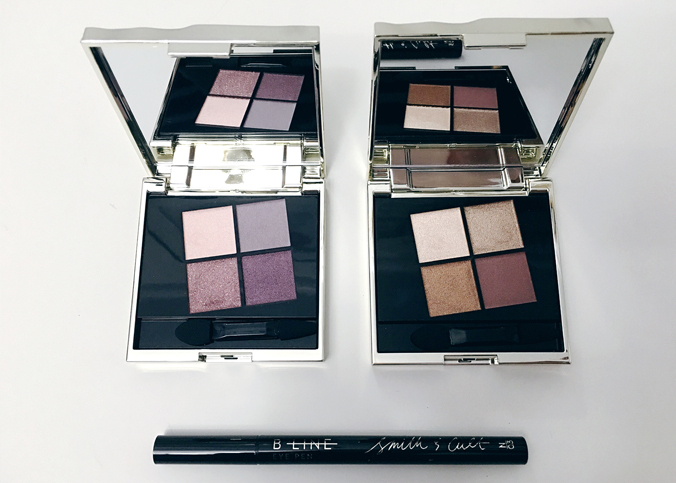 Now two years later, Mohajer and partner Jeanne Chavez are expanding Smith & Cult into eye makeup. S&C’s four eye palettes (Book of Eyes Eye Quad), three eyeliners (B-Line Eye Pen), and Lash Dance mascara are slated to launch by October 1 on SaksFifthAvenue.com and NeimanMarcus.com so it was time to have a quick chat with Mohajer about the brand’s recent expansion. 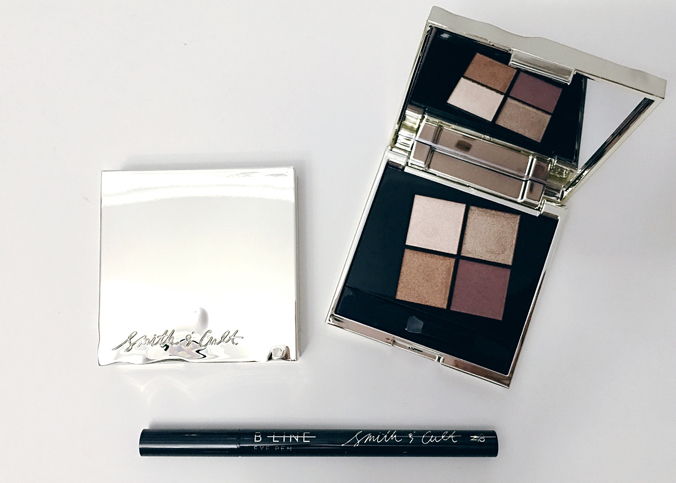 Choupette Social Girl: How do both of your personalities translate into this eye makeup collection? Dineh Mohajer: Jeanne Chavez is the yin to my yang. Our partnership serves as the platform for everything we create. While our creations are always evolving, the merging of sensibilities remains a constant. Smith & Cult is a reflection of our partnership; a fusion of classic elegance and subversive innovation. CSG: Why did you make the decision to go beyond nail polish to launch eye makeup? DM: I’ve always viewed all of my brands as all-encompassing. My development process is rooted in emotional impulses that propel me into creating products that I crave. For me, it’s as simple as following my instincts. CSG: How do your signature dented caps and packaging translate into your ideas/philosophy about beauty? DM: I wanted the packaging to appear to be beautifully refined objects with elements of destruction to them. Throughout my years as a beauty junkie I’ve found that the pursuit of perfection can sometimes result in quite the opposite. The packaging needed to be a representation of one’s experience, whether good or bad. It is elegant and beautiful, despite the fact that it has fallen over and sustained some dings and dents, just as we all are. CSG: What is the one must-know beauty tip for fall? DM: Keep it natural is the best default setting. I am forever in pursuit of that effortless (with minimal effort applied, of course) aesthetic that French women seem to have mastered. Come Fall, I will continue to embrace a seemingly bare face which includes a swipe of lip stain – I’m partial to Smith & Cult’s The Tainted Lip Stained Flatte in Kissing Tiny Flowers for its creamy matte texture, saturated pigment, easy application and everlasting color. When I want to add a layer of glamour to the story, I will use our B-line Eye Pen. It is a quick-change artist/precision liquid liner. It’s silky matte finish never flakes or cakes. Whenever I use it, the extended felt tip doesn’t skip, tug or smudge. My favorite shade is a steel grey named Rush to Whisper, which is both bold and subtle. CSG: First nails, now eyes. What’s next for Smith & Cult? DM: We recently introduced two lip categories to the Smith & Cult family, some new Nailed Lacquer shades and I am super excited for to share our new Eye Collection. As always, I’m eager to brainstorm new ideas (preferably from my bed) and get back into the lab to develop the next round of formulas for Smith & Cult. The Smith & Cult new Eye and Fall Collections are slated to launch by October 1 on SaksFifthAvenue.com and NeimanMarcus.com.